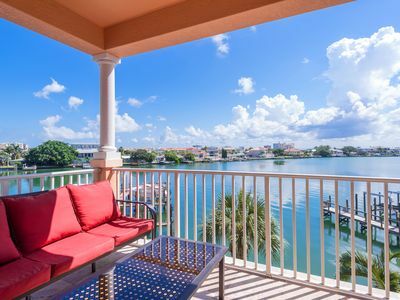 This waterfront condo features brand new furnishings, a gourmet kitchen with granite countertops and stainless steel appliances, a washer and dryer, cable, Wi-Fi and free domestic long distance. 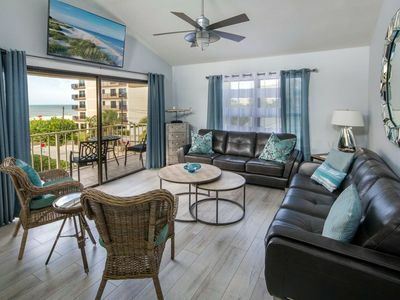 Both bedrooms offer king beds and flat-screen televisions and the comfortable living area features a 55-inch flat-screen, as well as a sleeper sofa for extra guests. 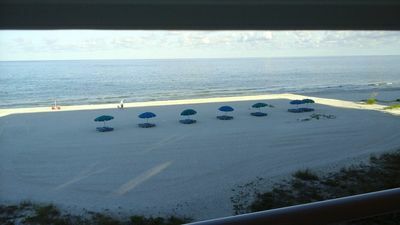 Beach chairs are provided for your use and parking is included. 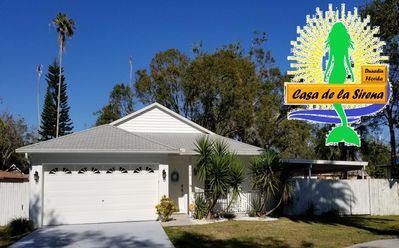 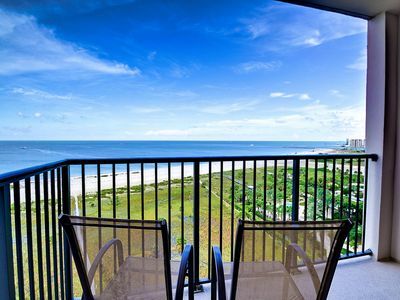 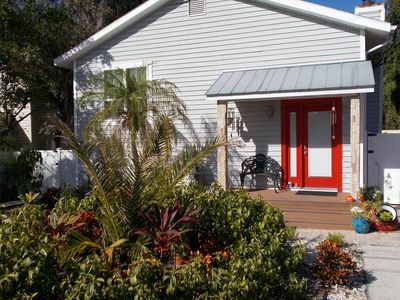 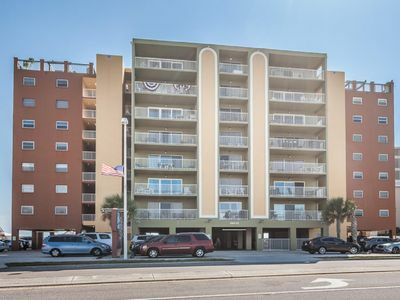 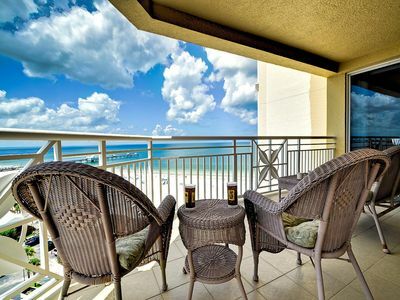 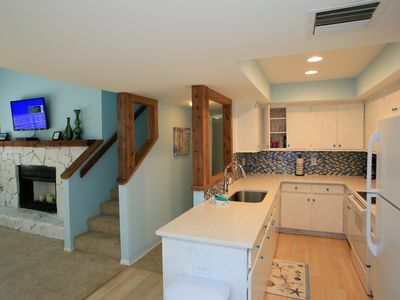 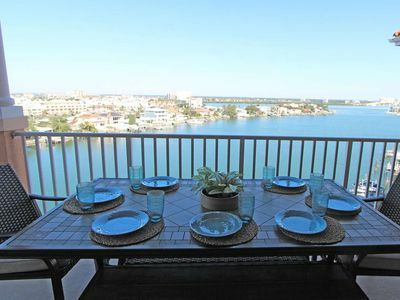 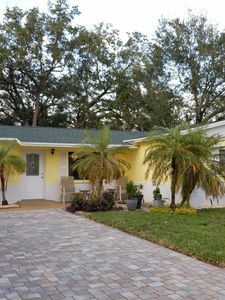 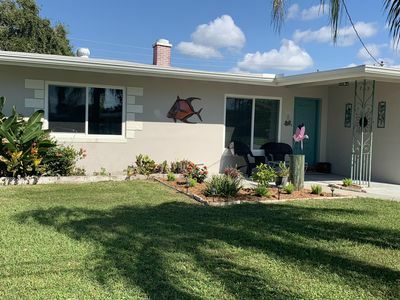 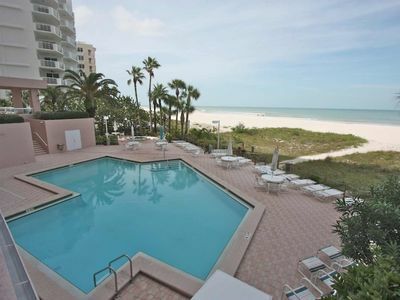 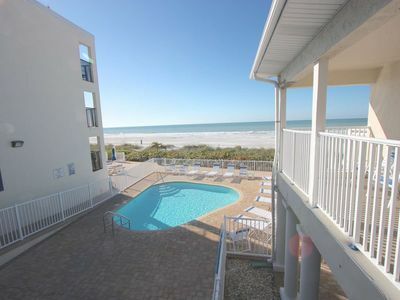 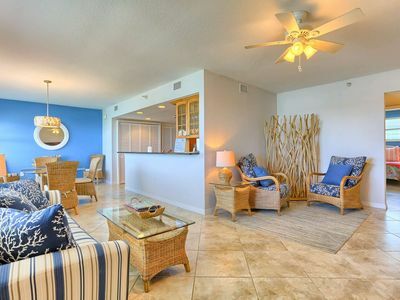 Walk to everything in Clearwater Beach from this convenient location! 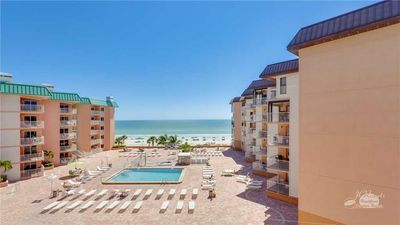 The Clearwater Beach area is known for its award-winning beaches, amazing restaurants, abundant nightlife and wide variety of water sports and cruises at the large marina. 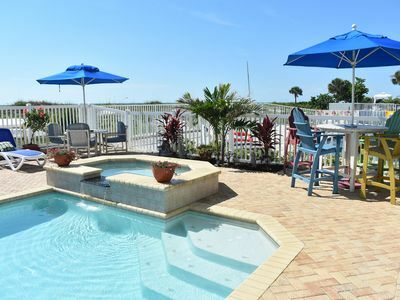 Enjoy wave runners, parasailing, dolphin-watching, dinner cruises and deep sea fishing charters or visit the local “movie star”, Winter of Dolphin Tale at the nearby Clearwater Marine Aquarium. 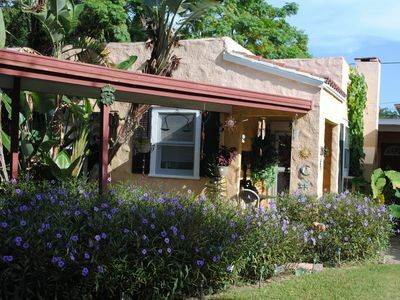 Home with large covered patio. 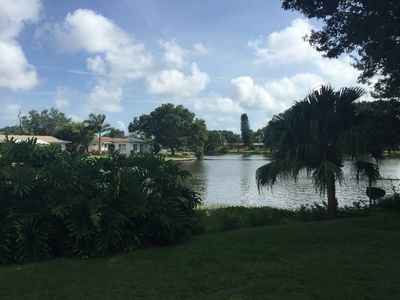 Near bike path, gulf coast and downtown Dunedin. 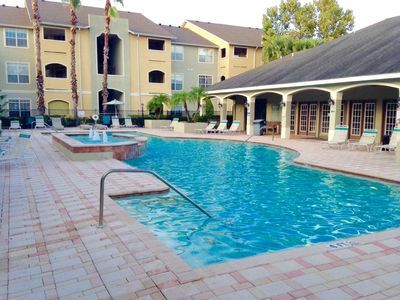 Now accepting short stays! 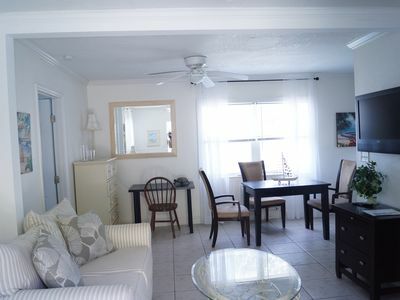 Email for dates available.